Abstract : Perlin noise is the most widely used tool in procedural texture synthesis. It is a simple and fast method to enhance the quantity of detail or to render natural materials with no use of storage resources. However, this technique is very sensitive to aliasing artifacts, especially when composed with shape and color functions. Moreover, it is computationally intensive and can become slow, especially when generating procedural volumes of density in real time. 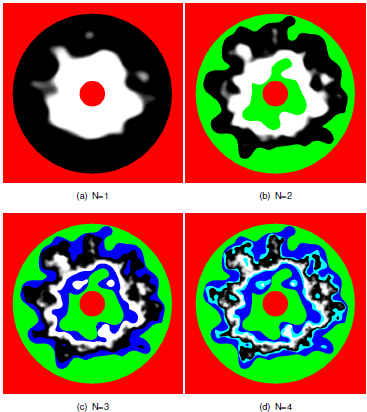 This study aims at analyzing Perlin noise properties in order to control the apparition of artifacts and optimize the computational cost. We present a method for computing a maximum and minimum frequency threshold per noise component, we propose an idea to handle the case of non linear transforms of the noise, and show an optimization method for volume generation.